Jesse Gonzales is a true Mr. Fix-it who works to make USO Kandahar in Afghanistan feel like home. After more than 500 volunteer hours, you can see and feel the impact he’s made on the center and its visitors. The center benefits tremendously under the care of Gonzales’ handiwork and ability to create a beautiful and safe space for him and his fellow service members to enjoy. When Gonzales repainted the USO reading room, he chose to include popular children’s book characters on the walls, which gave the service men and women a cheerful place to record themselves reading books for their children. He also repaired the deck outside of the center that offers a fun place for service members to hang out when they are not working. To make it more appealing, he painted the roof and walls to look like a beach house with an open sky. These small touches make a big difference in how service members view the USO and offer a little more comfort while in Afghanistan. When he isn’t busy repairing or painting, he is greeting visitors and encouraging others to visit the USO. Once during the holidays — a difficult time to be away from home – he even dressed up as a reindeer to bring cheer to his fellow service members. Regardless of rank, he wants to make sure that everyone at the USO feels cared for and has a good time, even at the expense of dressing in a silly costume. His attitude is inspiring to others and reminds them that near or far, every service member knows that the USO is there for them. 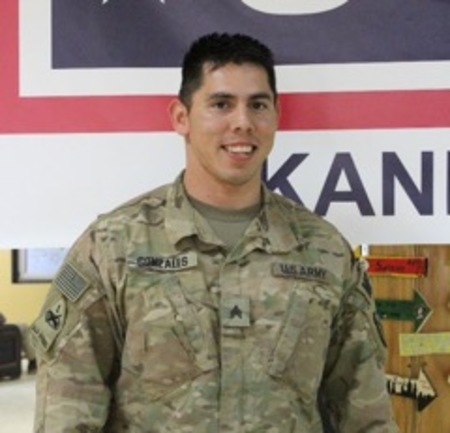 USO Kandahar is lucky to have a family member in Sgt. Jesse Gonzales. If you arrive at the Bush International Airport in Houston before 6:00 a.m., you’ll find Ruth Reid behind the counter of the USO with a warm drink and a smile. As a longtime volunteer of more than five years, she knows the importance of being an early riser and the comfort a cup of coffee can provide to a traveling service member. Every Monday, Tuesday and Wednesday, the busiest flying days for military personnel, you’ll find Ruth at the USO because she knows it’s when she can make the biggest impact. 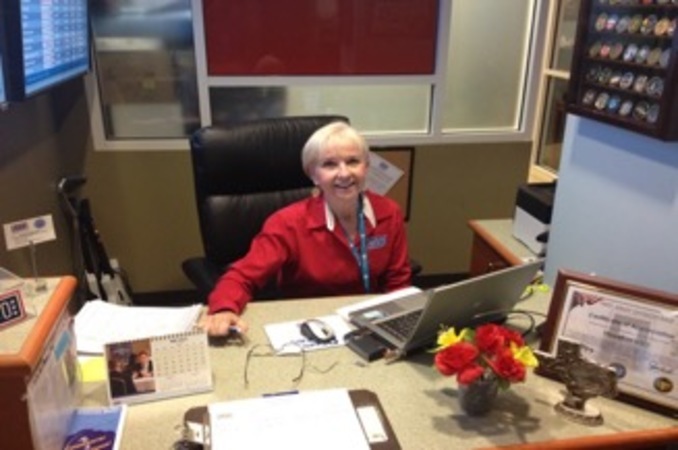 Arriving two hours before her shift, she ensures that even the earliest of travelers can stop by the USO before they go. This was not something that was asked of her, but something that she offered to do. Reid can adapt to anything and can connect with anyone. It’s one of the reasons she is a great volunteer. “Ruth is one of the most inviting volunteers we have here in Houston. She is like a chameleon; if a visitor needs comfort, she offers comfort; if a visitor needs to talk, she is there to listen first, and talk second; if a visitor needs prompt and accurate information, she is timely and precise!” said Terri Reimer, center operations supervisor. Reid has a deep understanding of the mission of the USO, and has perfected her customer service skills, big picture thinking, and commitment to America’s service members. When she isn’t greeting guests and preparing hot coffee, she is helping the USO track their metrics and information accurately, going above and beyond by proposing new and more efficient ways to maintain records. No matter what Ruth is doing, she is always thinking of ways to help the USO run more efficiently and effectively for traveling service members and their families. Every once in awhile, someone will walk into your life and make you wonder how you ever survived without them. For USO Grafenwoehr, in Bavaria, Germany, that person is Caleb Dickerson. A relatively new volunteer, he has logged more than 450 hours in three short months. He is well known for his energy and passion which starts with the service members that visit and spreads itself into the core of everything USO Grafenwoehr does. Caleb Dickerson’s personality is one of the many reasons the staff at the center are happy he is around. Whether it is dressing up as an elf during the holidays, or offering a cheerful hello when anyone enters the building, he constantly thinks of new ways to boost morale and keep his fellow service members smiling. When he is not offering excellent customer service, Dickerson is thinking up ways to help the USO be more efficient. For example, he noticed the main TV stopped working, so he found a spare TV in an under-utilized room and swapped the two out. This not only saved the USO resources, it also ensured that there was no lapse in entertainment for visitors. On another shift, he found an old USO table, sanded it down, repainted it, and added the new USO logo, which turned into a great marketing tool used for outreach events. Aside from Dickerson’s inventive ideas in the center, he can always be counted on to greet every visitor with a smile. He truly embodies the USO mission by showcasing his gratitude for other service members through his work at the USO. We are confident that Pfc. 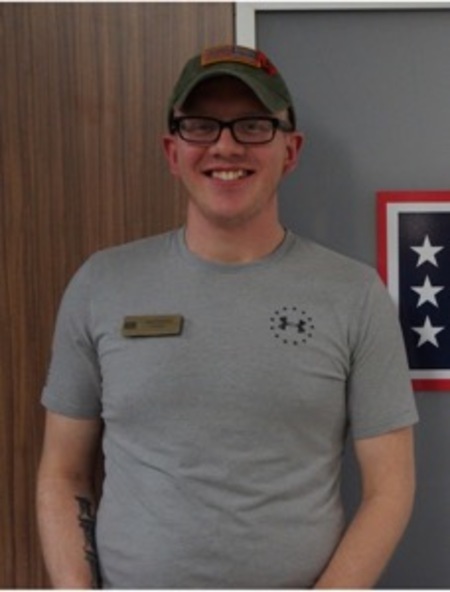 Caleb Dickerson will continue to provide world-class support at USO Grafenwoehr and beyond. Misti Bare captures special moments for service members and their families at USO Andersen in Guam. As the resident photographer, she makes sure that every important memory is documented and shared to keep families connected. Just like the photos that she takes, Bare focuses on the USO and helps build a community that service members and their families find both welcoming and enjoyable. You can find Bare behind the lense of some of the best memories that USO Andersen has made in the past year. The Christmas celebrations, the inaugural USO Andersen Thanksgiving, barbecues, and other moments all have photographic mementos, thanks to her. The pictures she provides are often shared with loved ones near and far and are a great way to keep service members connected to their families. When Misti isn’t taking pictures, she is helping come up with new events like Guam’s Memories with Santa, where she offers support both in front of, and behind the camera. This event has allowed more than 150 military children and families the opportunities to take pictures with Santa, make holiday ornaments and enjoy a special meal, complete with cookies. Bare is a true example of what a motivated, talented volunteer can do for a USO center. As an Air Force veteran herself, and the spouse of a current active-duty service member, she understands firsthand the impact the USO can have on a family. 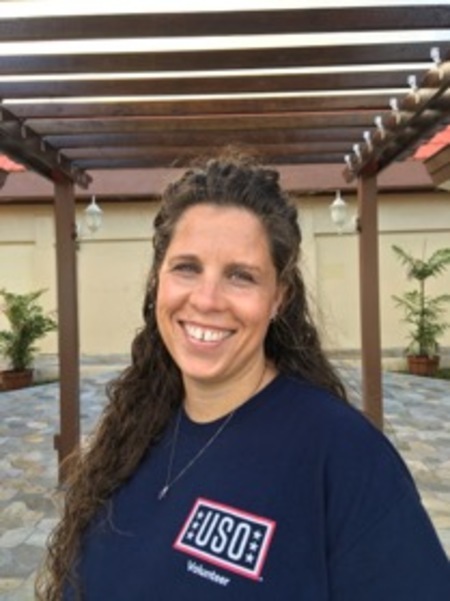 As the resident photographer and go-getter, Misti has proven to USO Andersen that she truly is an exemplary volunteer.